Carpet — Professional Construction Inc. 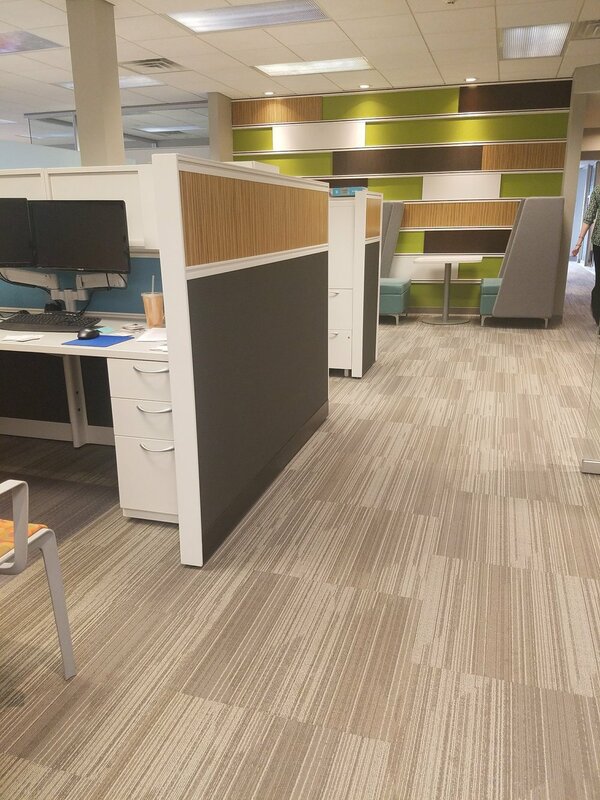 Whether you are in the market to carpet your office or your home, PCI is able to offer many choices in both commercial and residential carpet and carpet tiles from the Mohawk and Shaw lines. Worried about heavy traffic, dirt, spills, or pets? We can show you many options and help you determine what best suits your needs as well as your budget. Ready to beautify your home or workplace? Our professional and efficient team of installers has over 70 years of experience and will provide you with the best service possible. Let us know what our award-winning flooring team can do to help you!